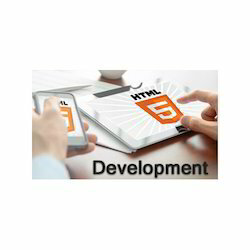 We are service provider of HTML Website Designing which is a core technology markup language of the Internet used for structuring and presenting content for the World Wide Web. We provide distinct HTML Website Designing solutions which allow the users to identify with our clients and help our clients in establishing their brands before a considerable internet subscriber base to help their business reach their optimal potential. We Develop a best Application to give your imagination a meaning, Which are user friendly Web Designs and Web Applications.